John and Kenny posing for the camera. 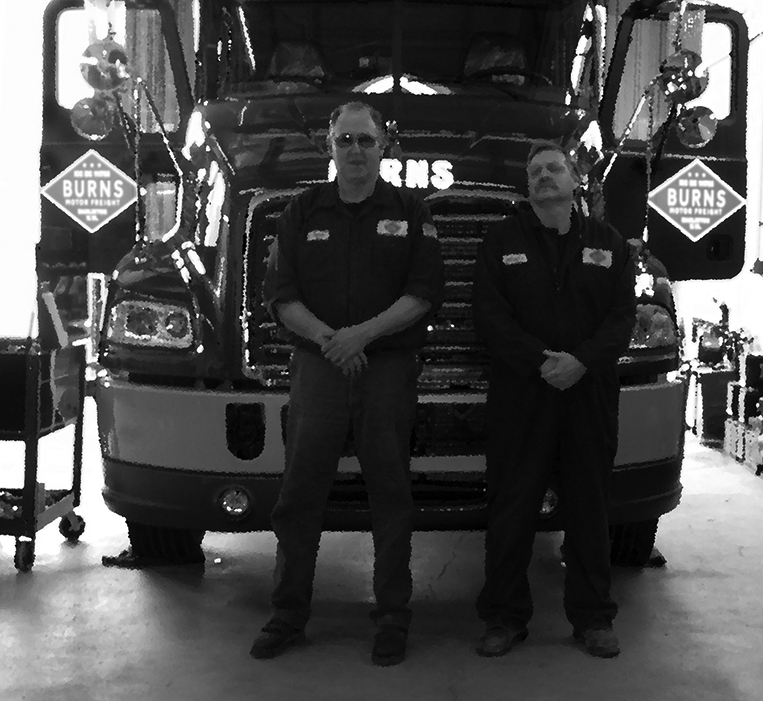 Burns Motor Freight, Inc. operates a fleet of modern Mack tractors. All equipment is maintained at company owned facilities by professional maintenance technicians. All Burns Motor Freight over-the-road trucks are equipped with PeopleNet satellite communications for constant two-way communications between our offices and the driver. All trucks carry a one piece lumber tarp capable of covering the full length of the trailer and loads over 12′ tall. Our fleet is equipped with PrePass and EZPass scale bypass and electronic toll payment devices, making it easier for our Transport Specialists to get loads delivered on time. The entire BMF fleet is on a strict preventative maintenance schedule to ensure continued safe and efficient operation of our trucks and trailers. Vice-President Mike Burns, oversees our staff of highly-trained Maintenance Technicians.